I’m back to couponing again as you may see, I have tried this before and weren’t as successful like many others. In order to be call one of those extreme couponers, you should know the tricks on getting the product totally free. YES!!! It is also a matter of patience; you have to stay in the store more than hours because you seek all those products in the shelves. I don’t say I did get them all for free, but most likely 80-90% off. That’s great and saves us money for a great deal. I hope that I’ll continue this couponing and indeed we are getting more than what we need for almost free. Once upon I used to coupon. But I found that the coupons I could get my hands on were for products I either didn't need or ever used. I might give it a try now that we live in a different state. I love couponing, I have gotten out of it recently, but keep saying I need to get back into it. It's been awhile and miss those crazy deals!! I am just trying to use the coupons that I got. I keep forgetting them and sometimes, I get those that I don't want or need. Yes, it does help me save a lot. I haven't found any coupon lately. We don't get newspaper so it is hard for me to find them. 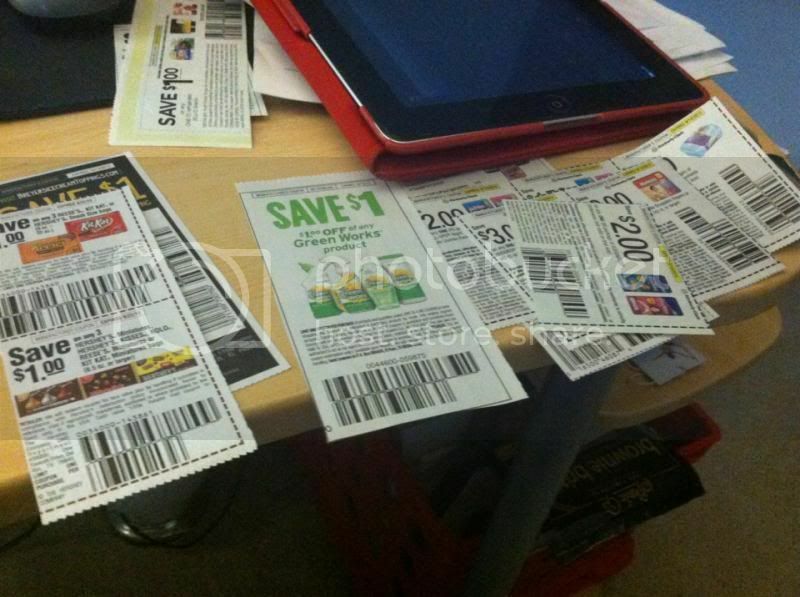 My friend is back in couponing too. She hauls stuff from convenient stores and grocery stores. So jealous! I really can't coupon right now. Just don't have the time and energy. I missed it though.